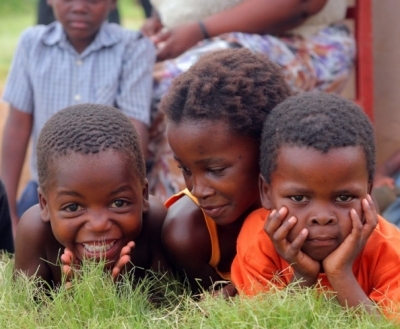 HARARE, Zimbabwe – TB mostly affects the world’s poorest; among those, the most vulnerable are children. Despite that an estimated 500,000 new annual cases of children with tuberculosis (TB), there are no appropriate medicines for them according to UNITAID and the TB Alliance. TB, one of the world’s most neglected diseases with almost no new treatments developed in the past 50 years, is one of the top ten causes of childhood death. According to WHO, Tuberculosis (TB) often goes undiagnosed in children from birth to 15 years old because they lack access to health services – or because the health workers who care for them are unprepared to recognize the signs and symptoms of TB in this age group. With no alternatives available, treatment providers for children are forced to adapt medicines for adults as best they can, such as by cutting pills. This leads to improper treatment, treatment failure, spread of this highly-contagious disease, and conditions ripe for the development of drug-resistant strains of the bacteria. “Despite the world’s capabilities to address this disease, pediatric tuberculosis has been ignored for far too long, resulting in a complete lack of appropriate medicines,” said Denis Broun, Executive Director of UNITAID. The extent of the childhood TB pandemic is not fully understood. Most experts believe that TB in children goes largely undiagnosed and that the true scope of the problem is far higher than the estimates today. Childhood tuberculosis is estimated to constitute about 6% out of all incident cases, with the majority of cases occurring in high TB burden countries. In 2010, the World Health Organization released new guidelines for pediatric drugs. However, to date, no quality-assured products have been produced to these specifications. World TB Day, March 24, commemorates the day in 1882 that Robert Koch discovered the tubercle bacillus, the bacteria responsible for tuberculosis. Since that discovery, progress against the disease has surged and ebbed. Now with outbreaks of more deadly forms of TB, documented around the world, it’s time to help protect children from this disease. This entry was posted in Lifestyle and tagged TB ALliance, Tuberculosis, UNITAID, WHO, Zimbabwe. Bookmark the permalink.